Sigal Prishtina (Superliga) signed 27-year old Iraqi international swingman Demario Mayfield (196-95kg-91, college: Angelo State, agency: Two Points). He is a dual citizen owning also American passport. 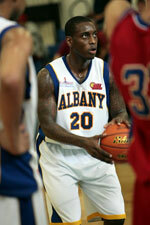 Mayfield has played for the last two seasons at Al Nift in Iraqi IBL league. He helped them to win the league title. 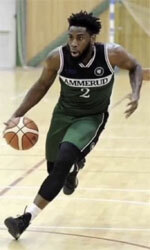 The list of the past achievements is quite long as among others Mayfield was voted Asia-Basket.com All-Iraqi League Player of the Year and Asia-Basket.com All-Iraqi League Import Player of the Year in 2017. He has been regularly called to Iraqi Senior National Team since 2017. Mayfield has played also professionally in Saudi Arabia (Uhud). He attended Angelo State until 2015 and it will be his fourth season as a professional player.